Most ‘layman’ with cats that need regular grooming do not have the right equipment at home to give the most efficient coat maintenance so I thought I would give a few pointers as to what to buy! 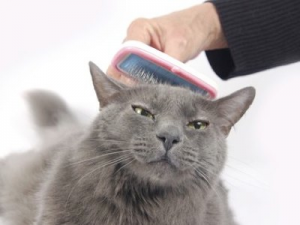 1.A COMB is the best bet for grooming long haired cats and something I never see my clients with. Most knots are caused by the ‘underlay’ fur not being reached so the top hair is brushed but the underlay is left in.. same as when the cat sheds it’s fur in the summer, top layer goes but the underlay sheds, stays under the top layer and then gets tangled and knoted. Worst areas are the inside of the arms and legs, the tummy and under the chin. Click on the word comb above. It’s the only tool you really need! Good luck folks and by the way I am not sponsored by anyone to name their products. Just telling you the products I have but please feel free to shop around for the right company and price! !